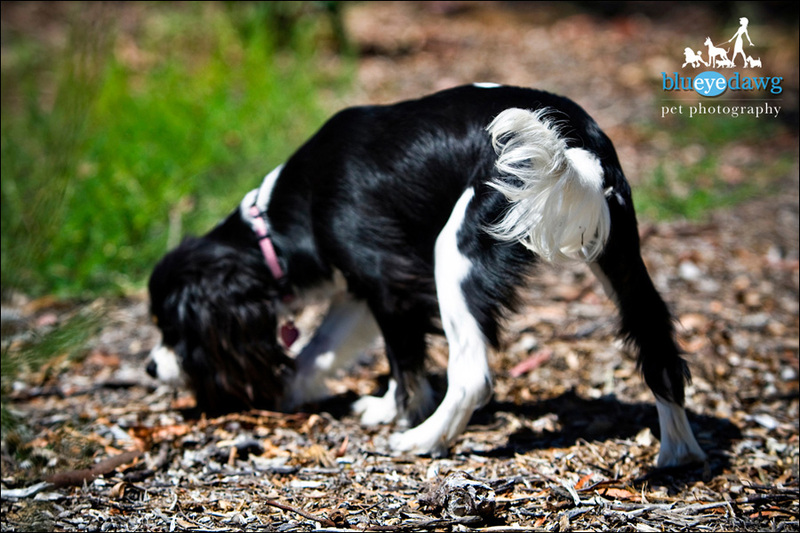 Wana know what a Cavalier King Charles – Spaniel looks like with a sprinkle of spice? That would be Cinnamon pictured below. 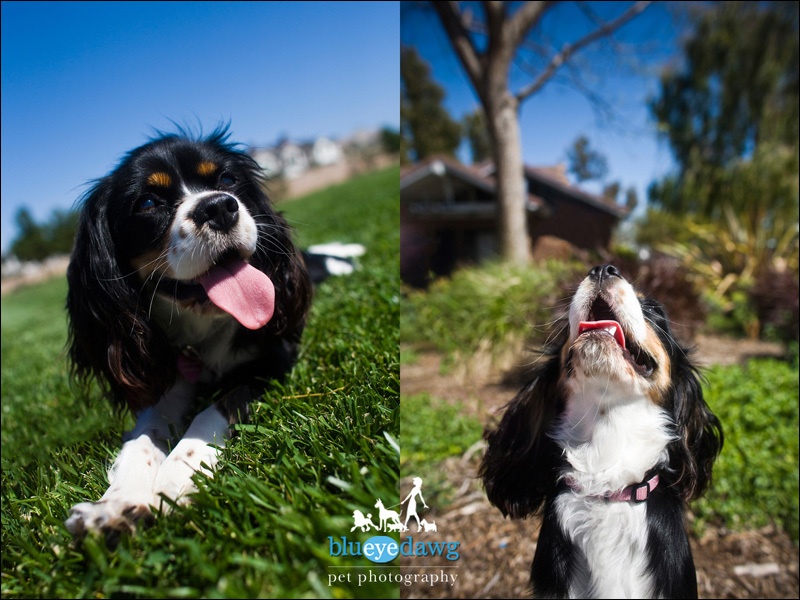 We had a super fun pet photography session in Newport Beach. Last year I photographed Cinnamon’s inseparable pal Sami. So when I heard she got a new puppy, I was super excited to meet Cinnamon and photograph her in the Newport Beach, Bonita Canyon Sports Park. She’s already gone to puppy training school and is super-puppy trained. After photographing her with the Wild Flowers as a background, Michelle (Cinny & Sami’s mom) let her off the leash in the park and Cinnamon tore it up. She was running around the soccer field so fiercely I could barely keep track of her. 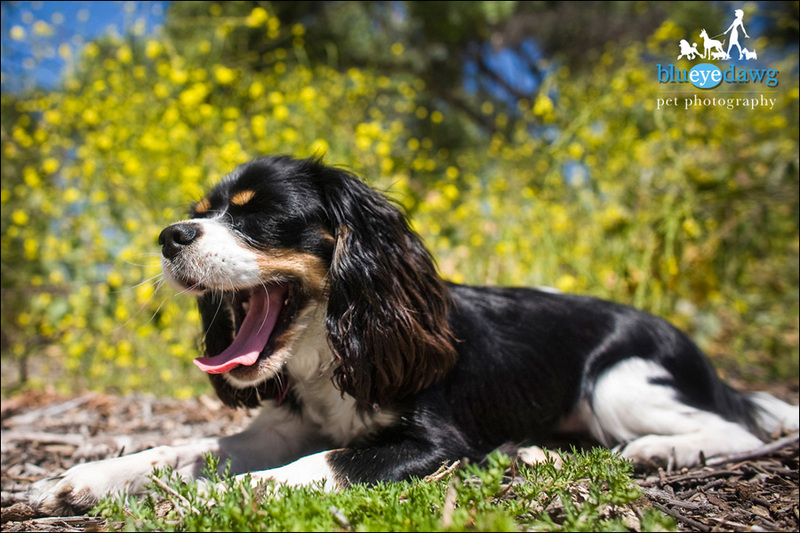 So, after she spent some energy Cinny was ready for her next Newport Beach pet photography session. She asked me if I’d take some ridiculously wonderful fun, candid, photographs of her howling and playing in the grass. You can see how they turned out below. BTW: I never asked her to pose. She’s a natural! 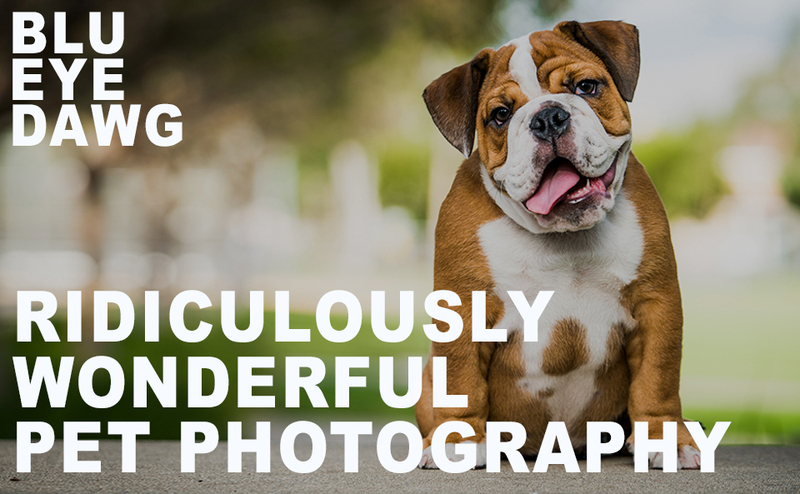 For any one who is looking to do a pet photography session in Newport Beach. Bonita Canyon Sport Park may fit your style.